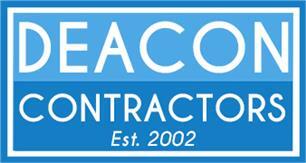 Deacon Plastering Contractors Ltd - Damp Proofer, Plasterer based in 5 Adelaide Crescent, East Sussex. Deacon Contractors is a family run business with a 5 man plastering team managed by Andrew Deacon, operating in both East Sussex and West Sussex. With over 40 years combined experience in the trade, the firm was established in 2002 and has expanded in size, reputation and portfolio ever since. We offer all types of plastering, including Skim Coat, Float & Set, Specialist Rendering including Monocouche, EWI, Acrylic and Silicone. We are safeguard trained damp proofing installers and can treat many types on damp including rising and penetrating. Deacon Contractors now also offer a full project management service, taking on projects of all sizes from a bathroom refit to a full refurbishment. We work alongside a network of the finest tradesmen in Sussex to provide a product that is unrivalled in quality, yet competitive in pricing. Please get in touch to find out more, and to request a free quote - as we'd be delighted to come and meet you.